Basilicata is a mountain county: the Apennine arc, with peaks of 2,000 meters, covers 70% of its territory. 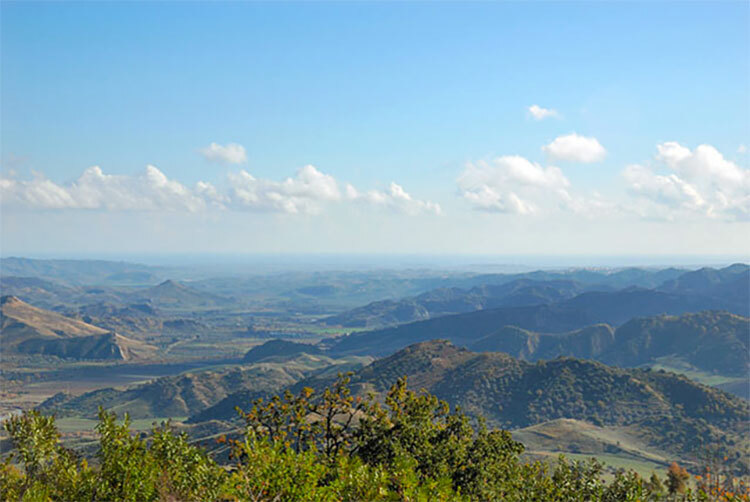 The mountain slopes in the hilly territory of Matera that, from the plateau of the Murgia, looks like a natural amphitheater on the Ionian sea. Ten million years ago, when the plateau was still invaded by the sea, very strong earthquakes began lifting the lands. Limestone formed a hundred million years ago at the bottom of the sea, by the deposit of shells and other skeletons, emerged to life. 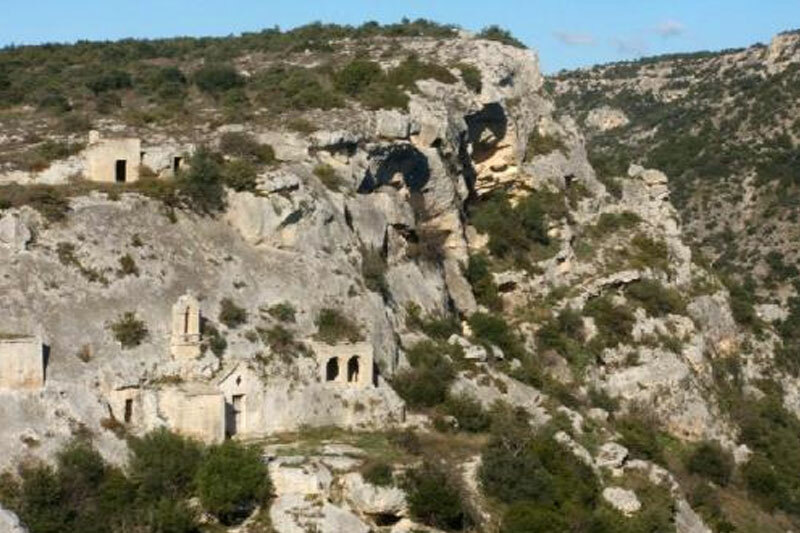 In this period originated those spectacular canyons that still ply the Moors from north to south: the “Gravine”. 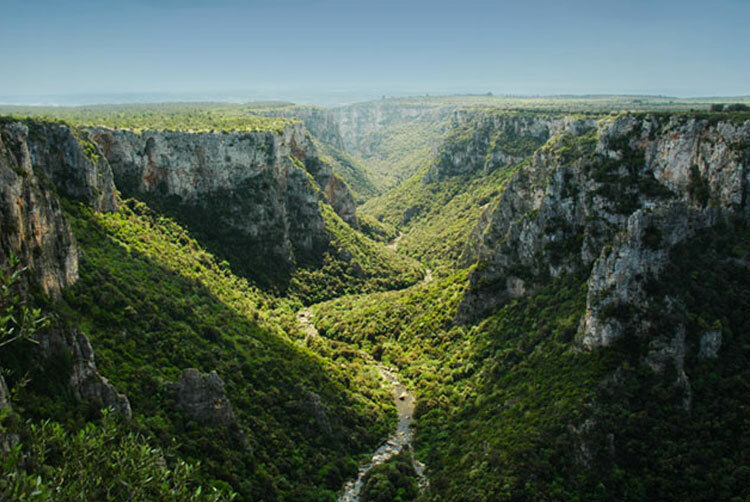 These gorges hosted groups of Paleolithic hunters and, until their extinction, the large mammals. 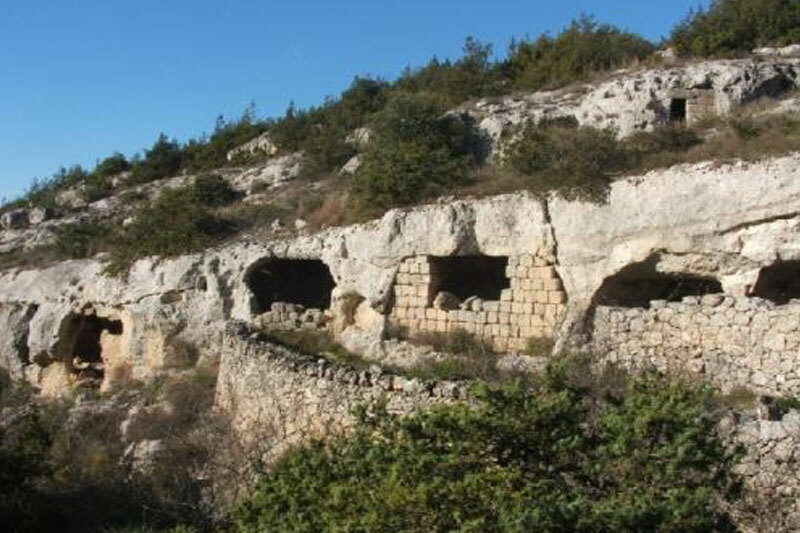 The Estate of Parco dei Monaci lies close to the Gravina of Matera, 5 km south of the city, in a very beautiful spot. Many tourists each year, starting on foot from the estate, visit the nearby Paleolithic village of "Saraceno" and the rock-hewn churches of "Cristo la Selva". Tenuta Parco dei Monaci occupies an ancient marine terrace formed by the withdrawal of the sea. The thin layer of soil sits on the bare limestone: soft stone where the logs sink their roots.